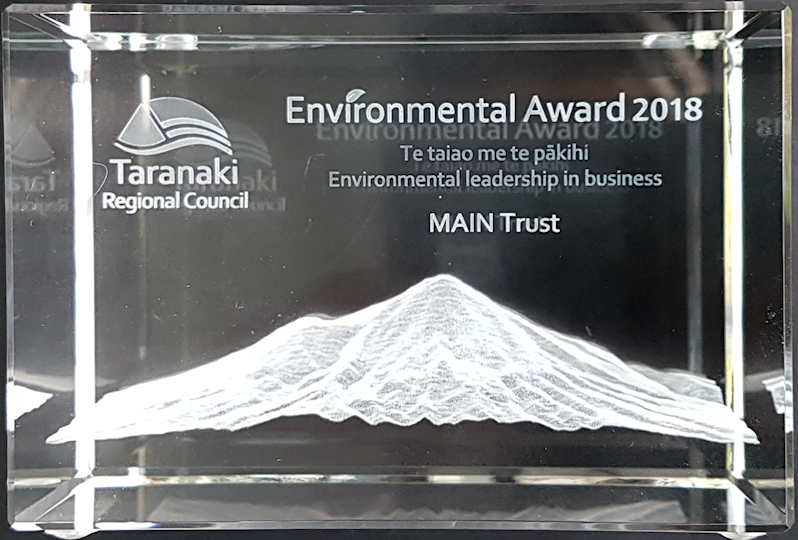 MAIN Trust is honoured to have this award. We thank our sponsors. This charitable trust helps community-based groups manage data and use it to plan their campaigns, attract funding and analyse the results. Presented well, data can have a dramatic impact, as shown by the ‘cat maps’ produced as part of the Tracking Fur Babies project to raise awareness of how family pets roam. These maps are an excellent example of the use of tools and specialist knowledge provided by MAIN Trust that include running an online GIS to support environmental groups and citizen science projects. MAIN Trust supports many agencies and schools on a range of projects, often in a voluntary capacity. The Trust was a founding member of Wild for Taranaki. It also manages the websites of several environmental projects in the region and leads the development of new projects and services.